The Vallarta Yacht Club, located next to the Paradise Village Hotel, will organize the competition to be held from June 24 – July 1, 2018; 180 kids and adolescents from 22 countries are expected to participate. 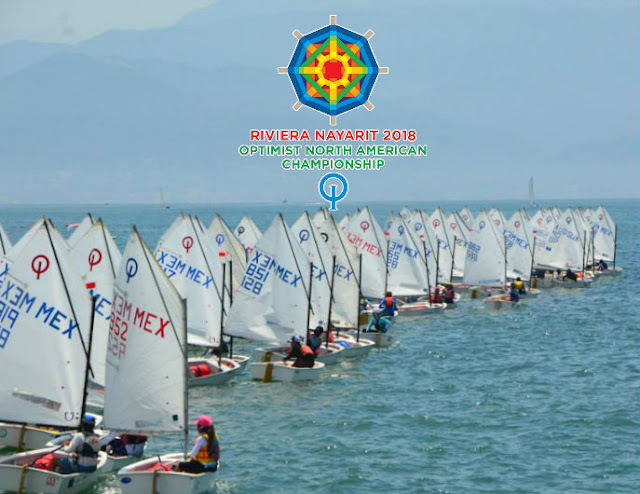 The Riviera Nayarit received confirmation from the International Optimist Dingy Association (IODA) that it will be the official host of the 2018 North American Optimist Championship to be held next year from June 24 – July 1 at the Vallarta Yacht Club, located next to the Paradise Village Hotel. This one of seven continental championships held around the world for Optimist Sailing, and has the backing of the Mexican Sailing Federation (FMV, by its acronym in Spanish) the endorsement of the IODA and the World Sailing Federation. The championship is open to athletes from North America, South America and the Caribbean, namely boys and girls between the ages of 12 and 15 who have been chosen by their respective associations. Another six non-U.S. groups may also be invited based on qualifying criteria obtained during last year’s world championship. Recent competitions included teams from Australia, New Zealand, Switzerland, Japan, Germany, Singapore and Greece. According to Linda Green, Director of the Youth Sailing Program for the YVC, they are working closely with the FMV and the IODA to guarantee this championship is composed of the best athletes, with international judges. A total of anywhere between 500 and 700 visitors directly involved with the event are expected; there will also be ample coverage by national and international media. The Riviera Nayarit has hosted several international championships in the past few years, among them: the 2007 Optinam, the 2007 J24 World Cup, the 2011 Panamerican Games, the 2013 National Sailing Olympics, and, most recently, the Laser World Championships, just to mention a few. 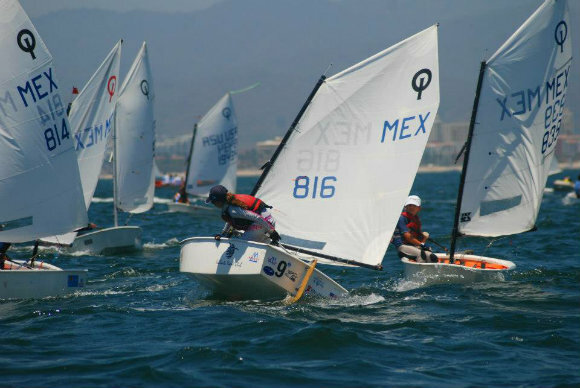 Every year the Vallarta Yacht Club hosts the WesMex International Regatta, one of the most prestigious regattas in Mexico. Between 150 and 600 athletes attend each event, not including their trainers and family members. The Riviera Nayarit Convention and Visitors Bureau (CVB) and the Bahía de Banderas Hotel and Motel Association (AHMBB, by its acronym in Spanish) would like to congratulate the Vallarta Yacht Club for their strong patronage of the sport of sailing, thereby contributing to position the destination as a favorite destination for nautical tourism. The Optimist class sailing is a favorite for teaching younger generations how to navigate. These boats are generally known as single-handed, meaning they only have one crewmember; this way the kids gain self-confidence and develop their abilities. Approximately 80% of all Olympic-level sailors began their careers in the Optimist class.